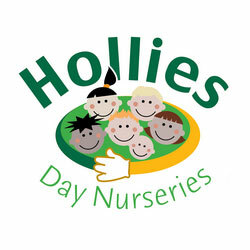 Jo has been with Hollies Day Nurseries since April 2013. NVQ Level 3 in Childcare Learning and Development, Nursery Language Lead, Paediatric First Aid, Food Hygiene Level 2 and Safeguarding. NVQ Level 3 in Childcare, Learning and Development. Safeguarding & Child Protection, Food Hygiene Level 2, Paediatric First Aid. Qualifications: NVQ Level 3 in Childcare, Learning and Development. Working towards Degree in Psychology & Education. Food Hygiene Level 2, Paediatric First Aid, Safeguarding & Child Protection. Megan joined Hollies Day Nurseries in June 2014. NVQ Level 3 in Childcare, Learning and Development.nursery SENDCO (Special Educational Need & Disabilities Coordinator), Paediatric First Aid, Food Hygiene Level 2 and Safeguarding and Child Protection. Working towards NVQ Level 2 in Childcare Learning and Development, Safeguarding & Child Protection. Food Hygiene Level 2, Paediatric First Aid. Megan joined Hollies Day Nurseries in June 2016. NVQ Level 2, Working towards NVQ Level 3 in Childcare, Learning and Development. Leah joined Hollies Day Nurseries in September 2016. NVQ Level 2,Working towards NVQ Level 3 in Childcare, Learning and Development. Paediatric First Aid, Food Hygiene Level 2 and Safeguarding and Child Protection. Eanna joined Hollies Day Nurseries in March 2018. NVQ Level 2, Working towards NVQ Level 3 in Childcare, Learning and Development, Food Hygiene Level 2 and Health and Safety. Charlie joined Hollies Day Nurseries in Febuary 2018. Working towards NVQ Level 2 in Childcare, Learning and Development. Chelsea joined Hollies Day Nurseries in June 2016. NVQ Level 2 in Childcare, Learning and Development.Paediatric First Aid, Food Hygiene Level 2 and Safeguarding and Child Protection. 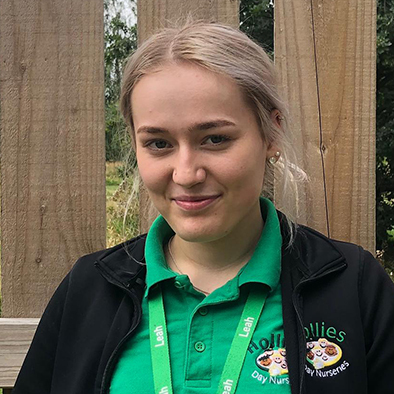 Cat joined Hollies Day Nurseries in July 2018. Safeguarding & Child Protection,Paediatric First Aid, Food Hygiene Level 2 and Health and Safety. 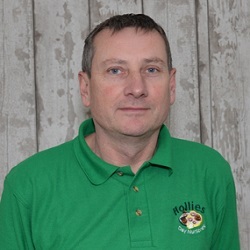 Cliff Joined Hollies in December 2017 and is responsible for the maintenance of all four nurseries. 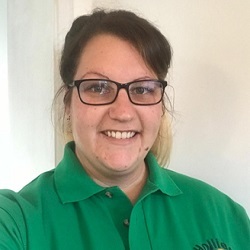 Lizzy has been with Hollies Day Nurseries since 2005 and is our Nursery Group Leader & our Forest School Coordinator. Lizzy works across all sites and as the Forest School Coordinator continues to embed our philosophy of 'bringing outdoor learning to life'. Lizzy is our nursery Group SENDCO (Special Educational Need & Disabilities Coordinator) and Group Designated Safeguarding Officer. Foundation Degree in Children's and Young People's Service's, NVQ Level 3 in Childcare, Learning and Development, Forest School Practitioner Level 3, Paediatric First Aid, Forest School out door First Aid, Food Hygiene Level 2 and Advance Safeguarding Train the Trainer. 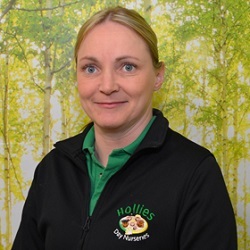 Claire has worked at Hollies Day Nurseries since March 2018. Claire has a vast experience in the cleaning industry and has completed many courses including COSSH and Health and Safety, Safeguarding & Child Protection. Derbi Joined Hollies Day Nurseries in June 2017. Derbi has a vast experience in the cleaning industry and has completed many courses including moving & handling, COSSH, First Aid, Food Hygiene and Health and Safety. Myles joined Hollies in February 2015. AAT Level 2, NVQ IT Level 3, Customer Service Level 2, currently working towards his AAT Level 3, Myles has 8 years experience in Customer Service. Helen joined Hollies in September 2002. AAT Accountancy Level 3, BSC Degree in Computing, over fifteen years experience, Safeguarding & Child Protection.